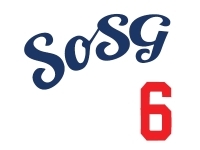 At the depth of our pain of being burned by HRs the past two games, the best we can do is look for little bits of sunshine in otherwise dark days. Here's something you don't see a lot these days in sport, at least during a game. After Matt Kemp robbed Jason Heyward of what looked to be a HR with an amazing, well-timed catch, Heyward rounded second base and looked to Kemp in the outfield to pay his sportsmanlike respect for the feat. 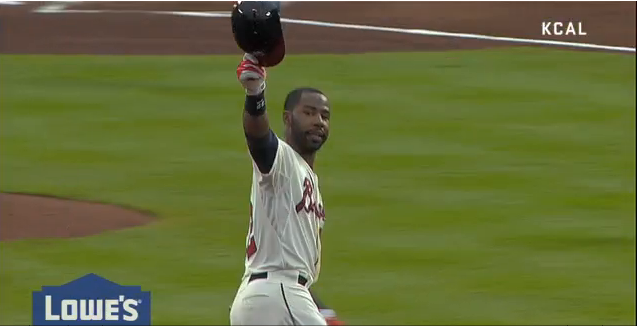 Hat tip to Kemp for the web gem catch, and to Heyward for his class. Now, back to being surly and feeling the hate. A Little Misdirection Around The Dodgers' Magic? Avoiding the DL: Luck or Good GMing?